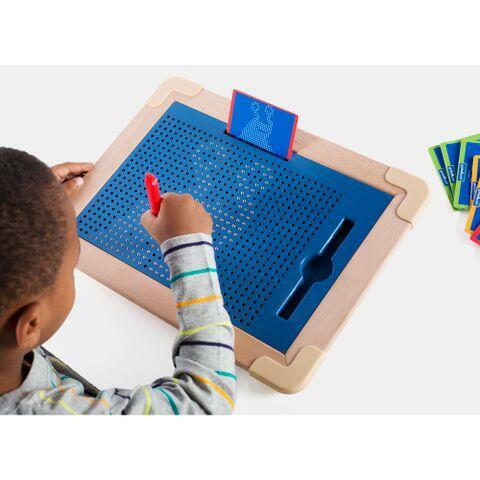 Children produce satisfying clicks as they drag the magnetic pen across the grid surface of this tablet to create geometric shapes, animals, letters, vehicles and more. Encourage children to recreate patterns from the activity cards or design their own drawings. Includes design cards with suggested patterns. Dimensions: W: 14.5" x D: 11" x H: 1"